The scooter total weight is 60 lbs. 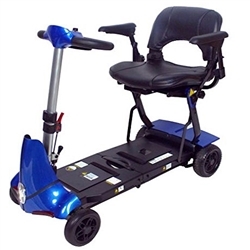 only with the optional Lithium Batteries, and 53 lbs. without the batteries. 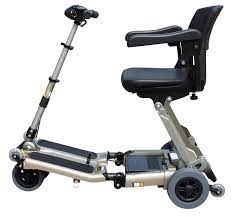 The TranSport Foldable scooter is super portable and a great space saver! You can fly with the EW-07 EForce to your next travel destination! Easy to fold. No tools required. The EWheels Speedy is the fastest, Indoor/Outdoor, folding, portable, scooter on the market today. 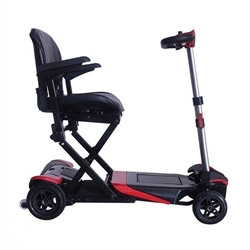 Shop or selection of Folding Travel Mobility Scooter, innovative and user friendly. See the all new designs of travel folding scooters.